High in the Pine Ridge Mountains is the newly constructed Chalillo Hydroelectric Power Plant. The dam provides a nine mile reservoir on the Macal River and stores water for later use in the both the Chalillo facility and downstream for the Mollejon dam. 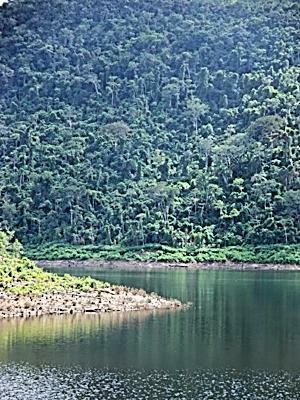 The reservoir will be filled during the rainy season, then provide water to generate electricity in the dry season. 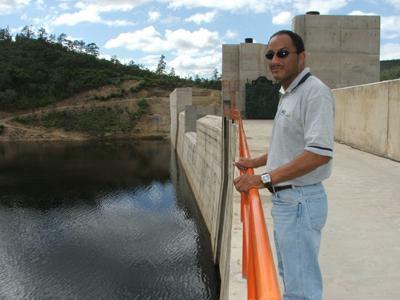 Belize Electric Company Limited (BECOL) Vice President for Operations at the Chalillo Dam complex stands on top of the 46 meter high dam recently completed in the Pine Ridge Mountains. Steve Usher explains that the generation of electricity from hydroelectric dams may offset the need to import electricity from Mexico or to generate electricity from diesel fuel. Two large power turbines generate electricity as water passes below them. Enough water is released from the reservoir to meet consumer demand. Electricity at this plant costs about 17 cents per kWh to generate compared to the current purchase price from Mexico of 44 cents per kWh. The roughly 40 acres immediately around the area of the Chalillo Dam has provided miles of shoreline that has great potential for recreational development. 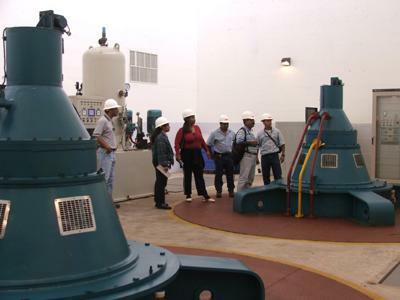 In an effort to make Belize more energy self-sufficient, the new Chalillo hydro-electric power plant has recently come on-line, doubling the hydro-electric output of the combined Chalillo and Mollejon Power Plants. The landscape has changed as these two power plants harness the power of the Macal River located high in the Mountain Pine Ridge in the Cayo District in western Belize. The once free-flowing river that dramatically rose and fell with the wet and dry seasons is now held back by two enormous dams. The Mollejon Dam was completed in 1995, but because of location along the river, its reservoir could not store enough water to sustain an adequate flow during the dry season, and during the rainy season much of the water flowed over the dam thus not producing as much power as possible. The Chalillo Dam is located a few miles upstream from the Mollejon dam. It is designed to provide upstream water storage that will feed both power plants year round. The Chalillo reservoir is huge, backing up the river nearly nine miles and storing approximately 120 million cubic meters of water. The reservoir covers nearly eight square kilometers of land. The dam itself stands 46 meters at its highest point. Owned and operated by Belize Electric Company Limited (BECOL), a sister-company of Belize Electricity Limited (BEL) with Fortis as the parent company. The project cost $30 million US dollars to build and was constructed by Sinohydro of Beijing, China. 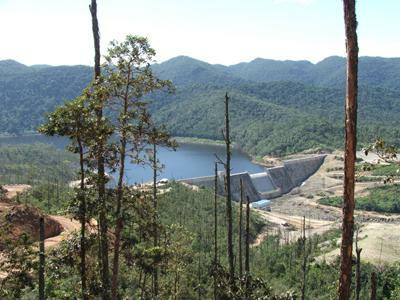 Construction on the Chalillo Dam took just under three years and included 350 Belizean construction workers. Now that the project is complete, 24 full-time employees remain at the facilities. With Chalillo online, together the dams can provide an average output of 160 GIGO watts per hour. The rate of output is directly proportional to the amount of water flowing through the huge turbines. Currently power is generated during peak consumption, generally early evening when consumers turn on lights and settle in for the night. According to Steve Usher, Vice President of Operations, the energy supplied by the Chalillo and Mollejon plants costs about 17 cents per kilowatt hour (kWh). Electricity purchased from Mexico averages 44 cents per kWh and energy from diesel generators averages about 42 cents per kWh. Usher says Chalillo will save consumers over $4 million dollars annually at current prices. He added that this does not mean electricity bills will go down until Belize becomes completely self-reliant on energy and is no longer importing energy from Mexico and becomes less reliant on fuel generated power plants. While many arguments may exist against damming a major river, Usher said that the dams actually offer a way to regulate the flow and preventing detrimental flash floods to the residents along the river during the rainy season plus providing increased flow during the dry season to help provide water to communities and to agriculture. He said the water quality is strictly monitored and mechanisms are in place in case any contaminant is found in the water. 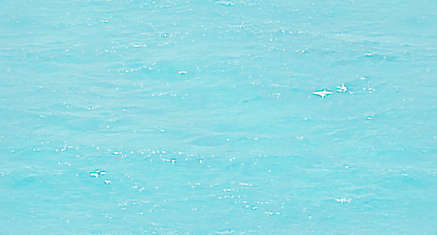 He added that this energy is very clean to produce with water providing the force to generate electricity. While BECOL only controls the roughly 40 acres immediately around the area of the Chalillo Dam, there is now miles of shoreline that has great potential for recreational development. Usher said it will be up to the Government of Belize to develop the recreational potential that the reservoir may provide. BECOL has plans to pursue the development of an 18 MW facility in the Vaca area of the Mountain Pine Ridge as a possible option for the country�s next power source.